Do you have a lot of flaws in your teeth? Have you shied away from showing your teeth when you smile or speak because of these tooth imperfections? Well, at Cosmetic Dentistry of Atlanta, we can help you make the dramatic changes you want to get a smile you’re proud to show off—with porcelain veneers. These tiny ceramic sheets allow us to change the shape, color, and size of your teeth, instantly revamping the look of your teeth. We offer two types of veneers: traditional porcelain and no-prep. The traditional porcelain veneers are a tried-and-true cosmetic solution that successfully gets patients their perfect smiles. As the name suggests, no-prep veneers do not require Dr. Gaylor to prepare the tooth in advance for the veneer. This innovative technique provides all the same benefits of traditional veneers without the need to remove a small part of the enamel. Natural appearance. The material reflects light much like tooth enamel, so the results look amazing. Versatility. Porcelain veneers can address many kinds of flaws when other cosmetic treatments can’t. Easy maintenance. These do not require any special care. Just care of them like you would your natural teeth with daily brush and flossing and semiannual visits to the dentist. Durability. Extremely strong, the ceramic material can certainly withstand normal wear and tear. Stain resistance. 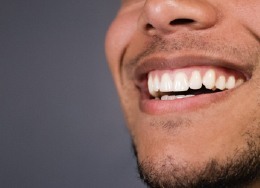 Porcelain veneer can resist stain even better than tooth enamel. Safe for gums. They are biocompatible, so your gums shouldn’t react to the material. What is the process for placing porcelain veneers? Gaylor will remove a small portion of your teeth’s enamel to make room for the veneer, unless you are getting the no-prep type. We will take impressions and precise measurements of your teeth and send this information to a dental lab. For traditional veneers, Dr. Gaylor will place temporary ones while you wait for your custom-made veneers are being created. After a few weeks, when the final products are finished, you will return to our office to get your porcelain veneers permanently bonded to your teeth. Then you’re done! In as little as two dental appointments, you could have the smile you’ve always dreamed of! If you have good oral health, without decay or infection, and you have any of the flaws mentioned above, you could be a good candidate for porcelain veneers. The best way to know for sure, however, is to schedule a consultation with Dr. Gaylor to discuss your specific case. After all, each smile is unique, and so should your treatment plan! As one of only six dentists in Georgia who are accredited in the American Academy of Cosmetic Dentists, Dr. Gaylor has both the experience and the training to completely transform your smile. Plus, our dedicated, compassionate team will make your experience with us as enjoyable as possible. Make an appointment with us today!